Why did we start VALiNTRY? We have fought operational complexities, dated technologies, increased regulations and the rising costs of doing business. The solutions always fell short, so we collaborated and began VALiNTRY. Boasting expertise in the consulting, healthcare, marketing, technology, and staffing industries, has enabled us to develop a transformational business model that delivers extraordinary results for our Clients, every time.We provide qualified staff are able to blend current technologies to address specific business needs quickly and efficiently. The heritage of VALiNTRY Services, LLC., is grounded in two of the co-founders working together in late 1999. Their collaboration led to developing one of the largest private intranet, clinical management operating systems supporting over 7,000 physical therapists, occupational therapists and speech-language pathologists who provided therapy in more than 1,300 settings across the United States. This application managed medical records, plan of treatments and Individual Education Plans (IEPs) for the therapy recipients 24/7, including billing, security, and state and federal compliance functions. Wide in scope, this highly successful project received recognition in CIO Magazine and instilled the knowledge in our co-founders. From this they discovered how powerful creating and matching the correct software solutions to specific technology, processes, and people plays in supporting great success. In 2013, these co-founders joined forces again along with some additional team members to create VALiNTRY. They built an IT consulting company capable of helping organizations create custom business solutions to support success and a staff augmentation division that provides “just-in-time” resources. This strategic approach allows us to maintain a satisfied core consulting team and then ramp up as appropriate for larger projects, while allowing us to provide an attractive pricing model to our customers. Our founders created a hybrid organization that assembled the best features of our former employers. Like many entrepreneurs, we thought we could start a company that is better, and while we know we have more room to grow, we are attracting the best and brightest technology consultants as a result of our commitment to our values and principles. Our recruitment team is experienced, so we continue to grow. Boasting hundreds of years of combined experience, we’ve staffed and consulted with companies of all sizes. We take our Industry and role seriously which we convey in training for our Recruitment and Account Management Teams. We’ve assembled the best recruitment tools, scour the web for new opportunities, and our internal operations support systems make us “better, faster, and stronger” than our competitors. We continue to invest to make sure we stay at the top of the game! V-FITT stands for “VALiNTRY Finding Incredibly Talented Teams.” This proprietary system combines a variety of best-of-breed technologies. We have collect over 6,000 new candidate resumes daily that match our Clients’ open positions. The system continues to evolve and get smarter – only identifying the best match candidates to our recruitment team. This allows us to find the right talent for the Client – faster than our competition. VALiNTRY and its associates are proud to give our time and resources to the Community. We especially enjoy supporting organizations that support Technology, Education, and Job Seekers. Girls Who Code – Girls Who Code programs work to inspire, educate, and equip girls with the computing skills to pursue 21st century opportunities. Orlando .NET User Group – ONETUG collaborates with other tech groups & works to build Orlando into a major hub for technology companies & startups. 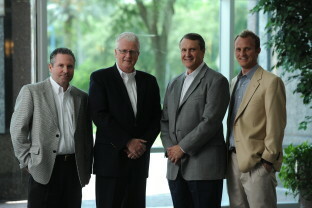 Big Brothers Big Sisters – We serve on the board for the Central Florida Chapter.